With Google Fiber, AT&T GigaPower, and other gigabit services increasing their network footprint across the country, they tend to concentrate in urban areas where the majority of potential customers live. At the same time, the nation’s hinterlands struggle to get even basic Internet service based on the original definition of broadband, not the FCC’s new faster standard. Subsequently, performing Internet speed tests in Rural America only serves to bring disappointment. A variety of organizations, including the National Rural Electric Cooperative Association (NRECA), are taking steps to connect the entire country to broadband Internet service. The hope is to drive economic growth in these under-populated regions, while also allowing farmers and ranchers to make their operations more efficient by access to Internet-based technologies. Let’s take a closer look. Considering the relatively low population of the country’s rural areas, it becomes difficult for private companies to justify the cost of building high-speed Internet networks for so few customers. The same logic applied earlier in the 20th Century, when access to electricity was slow-going for those living outside large and medium metropolitan areas. The FCC recently noted that only 39 percent of rural Americans enjoy access to high-speed Internet service. Therefore, it stands to reason rural electric cooperatives are leading the charge to connect the non-urbanized portions of the country to broadband. The NRECA feels the Federal Government needs to support initiatives providing fast Internet access to underserved areas of the nation. The organization also notes many of their member cooperatives leverage their own infrastructures today to bring high-speed Internet to these regions. 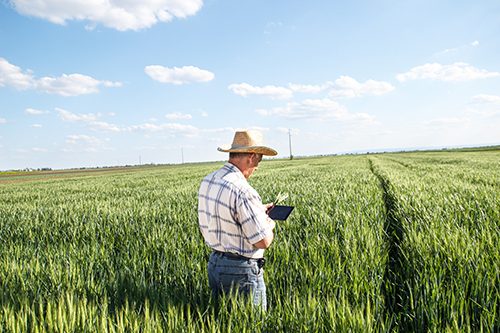 Other related technologies offering benefits to farmers, like telematics and GPS-based navigation, rely on fast Internet speeds. Considering the entire nation depends on American agriculture, broadband in the rural portions of the country ultimately benefits everyone. Here’s hoping the rural hinterlands can soon experience the myriad benefits of a high-speed Internet connection — for both entertainment and economic purposes.